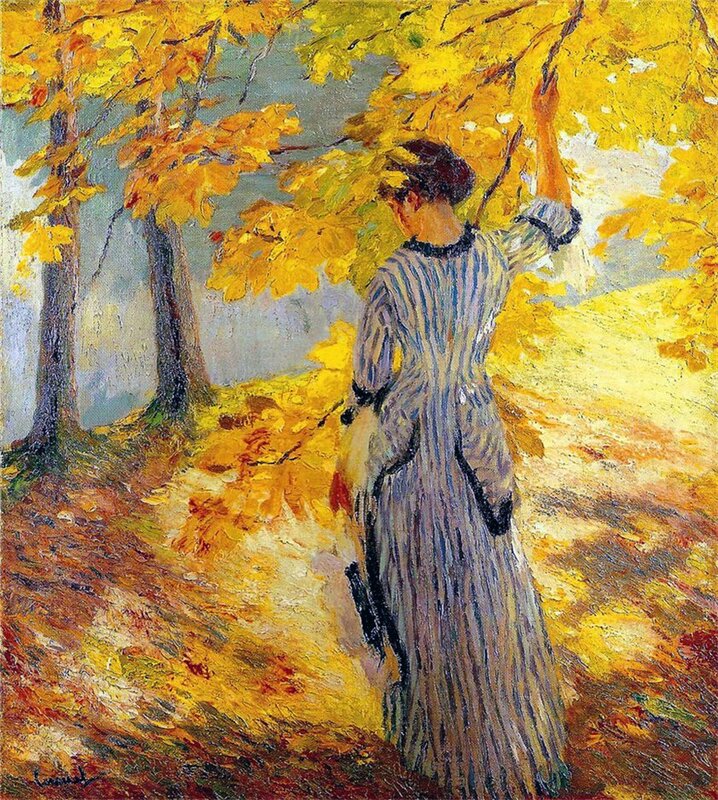 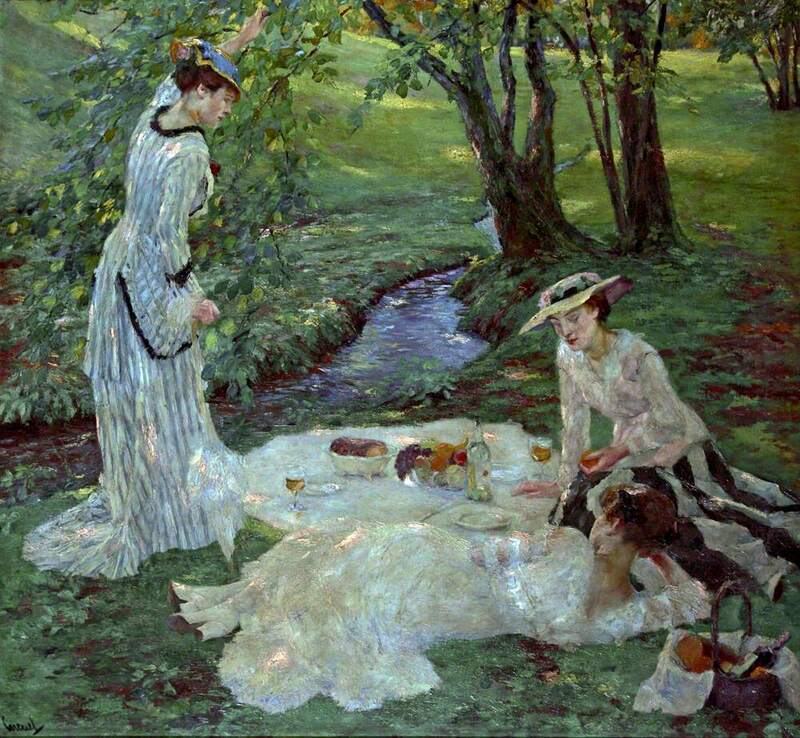 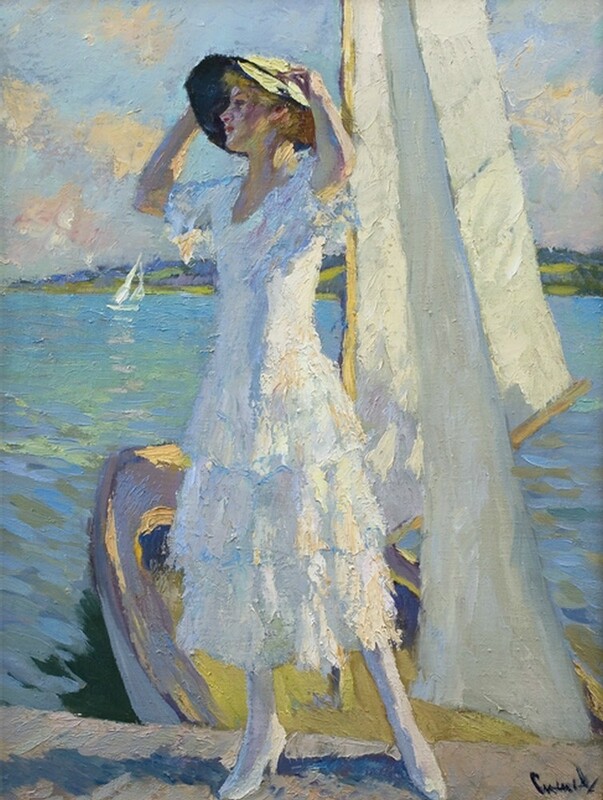 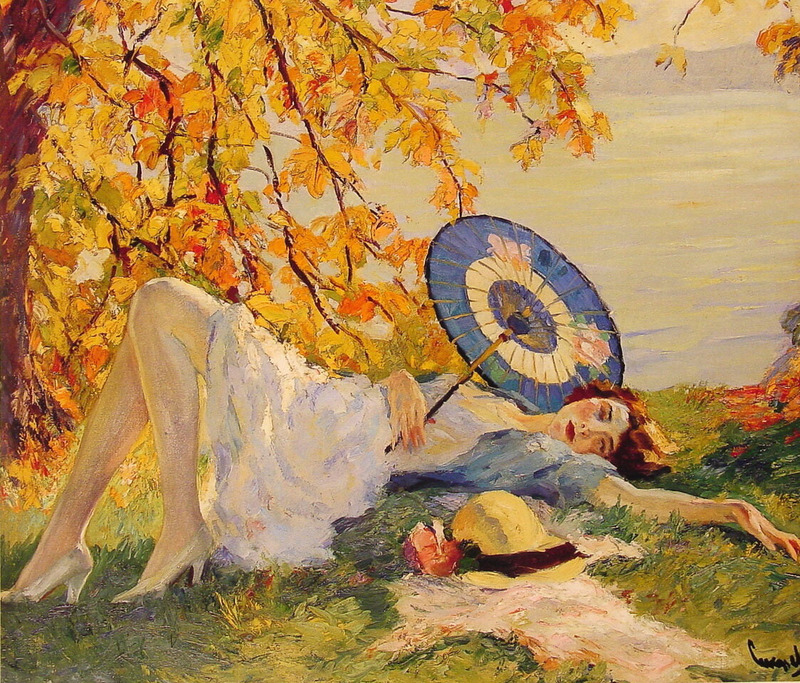 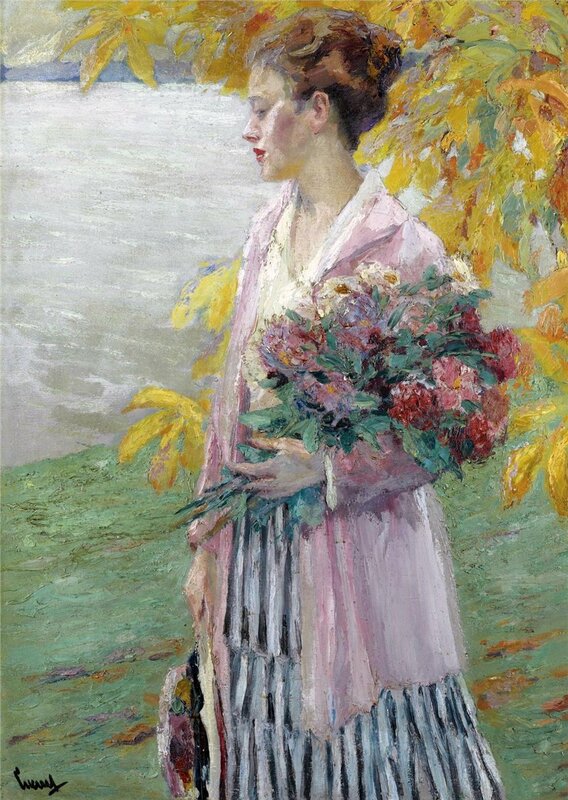 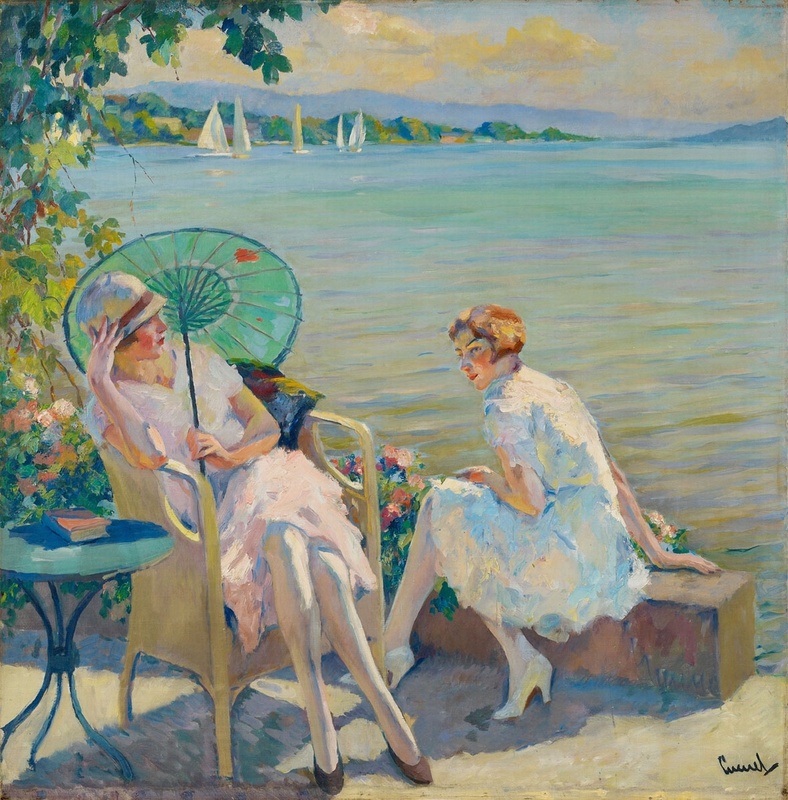 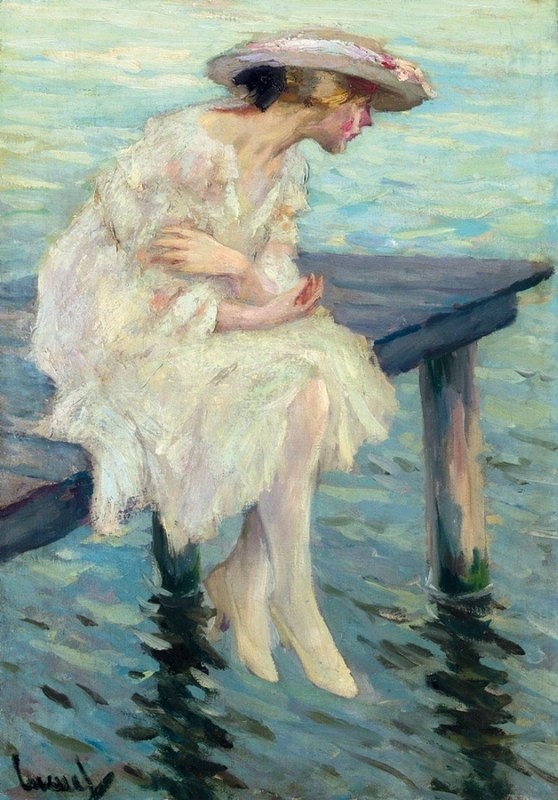 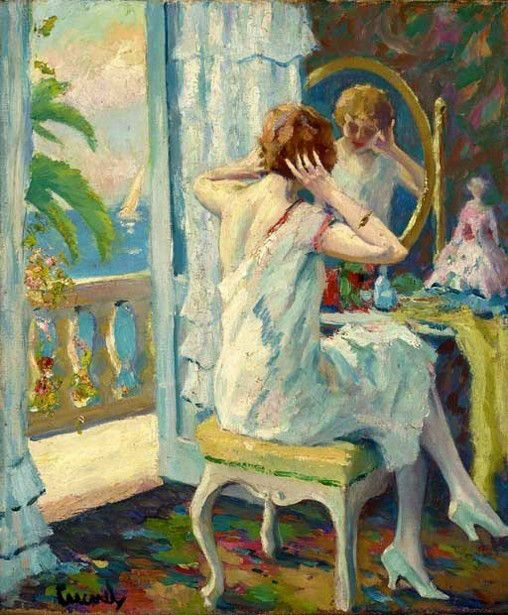 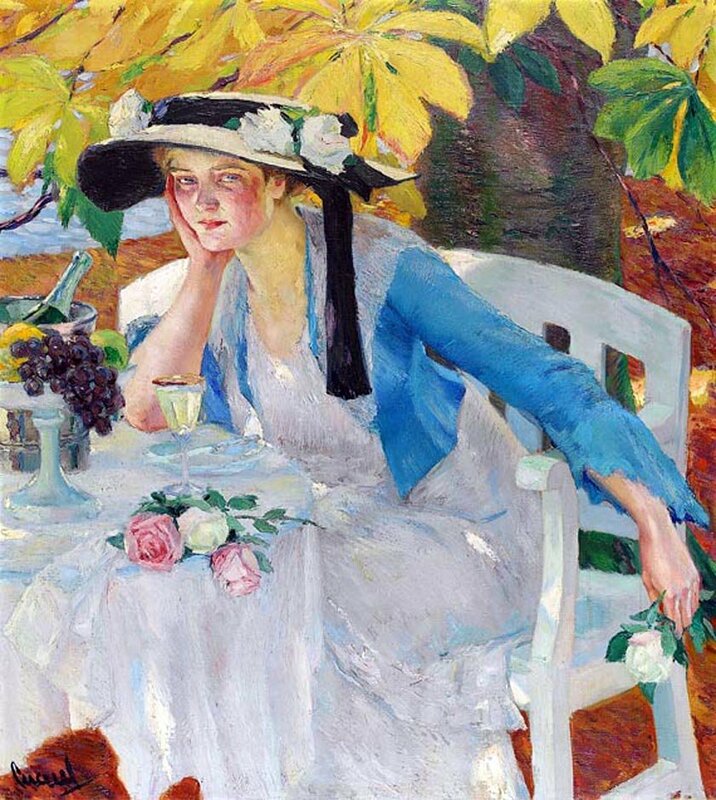 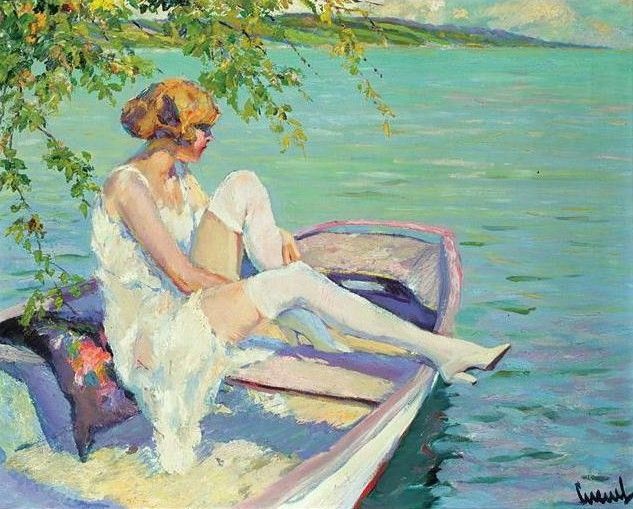 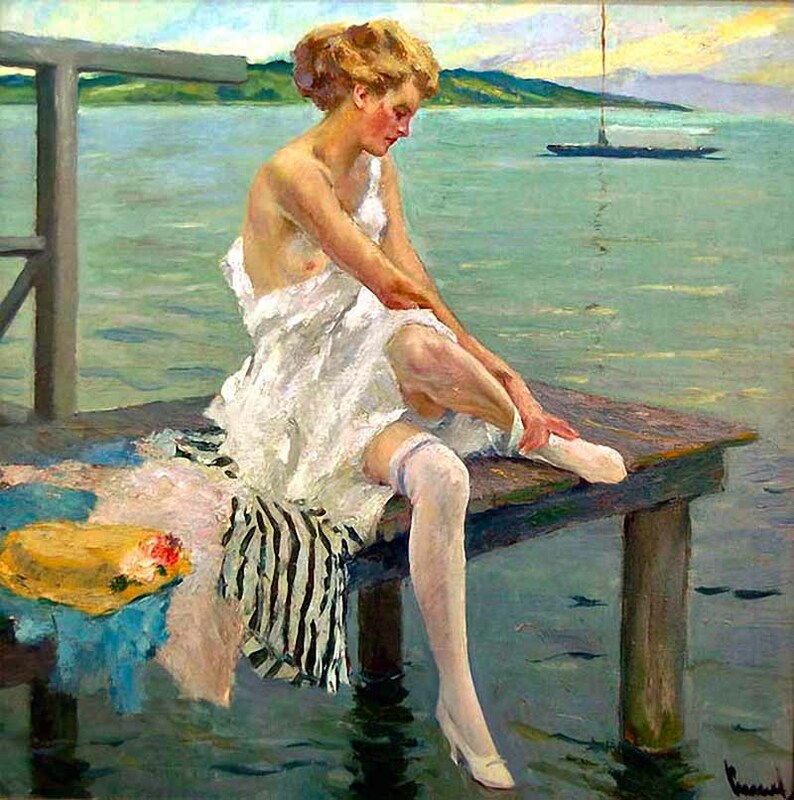 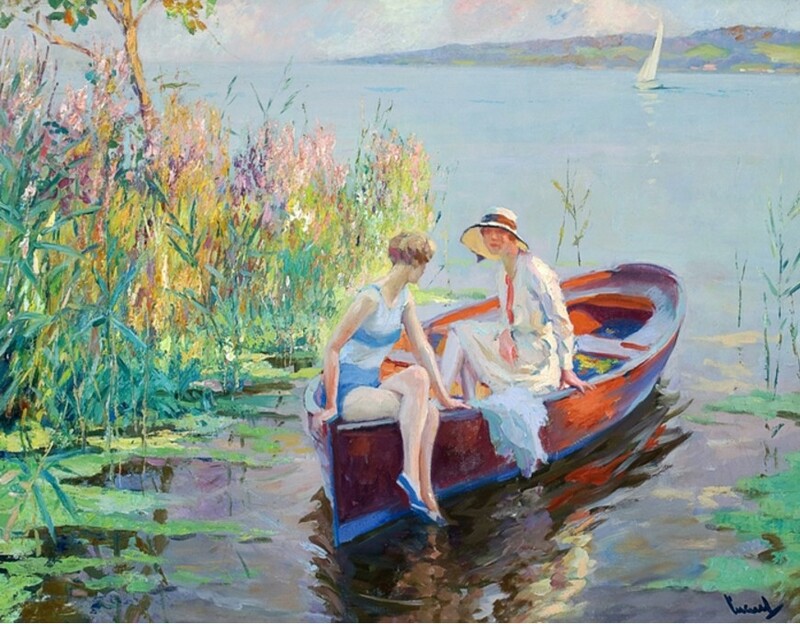 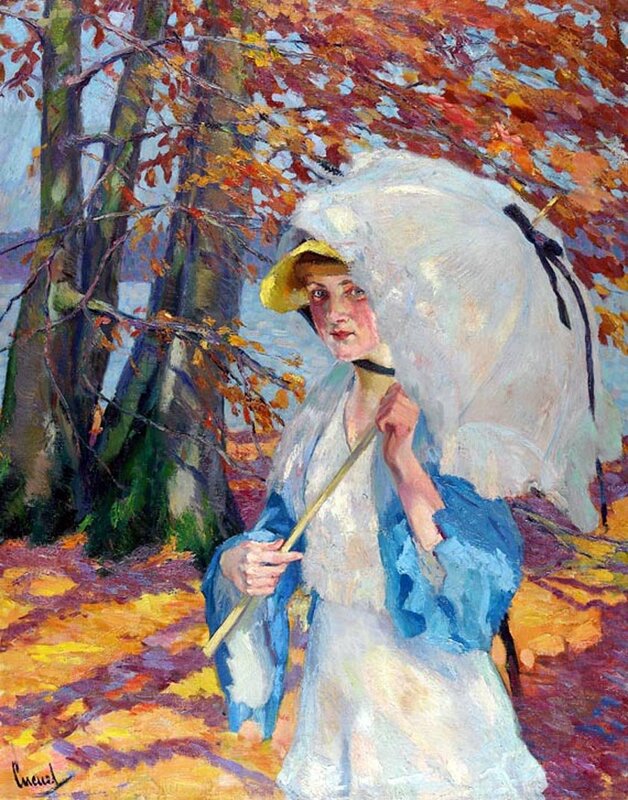 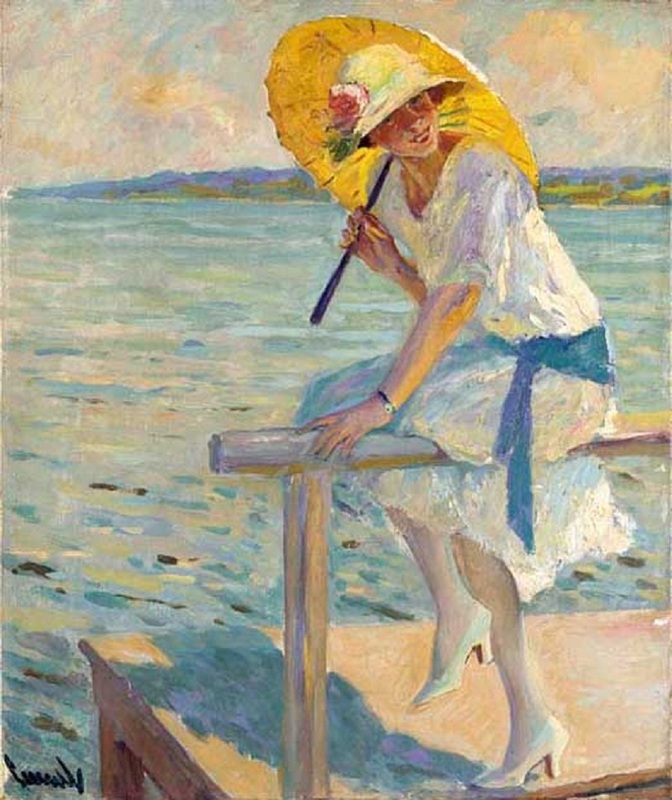 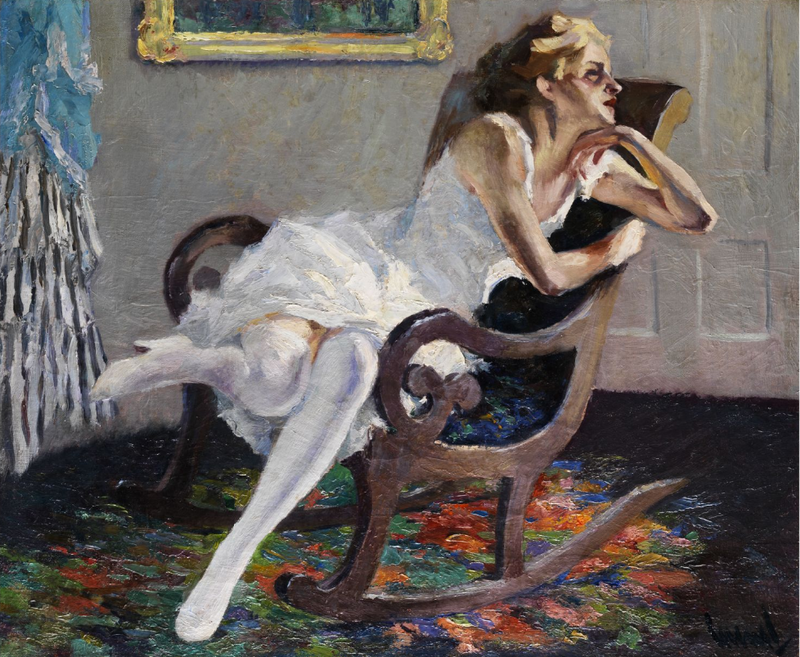 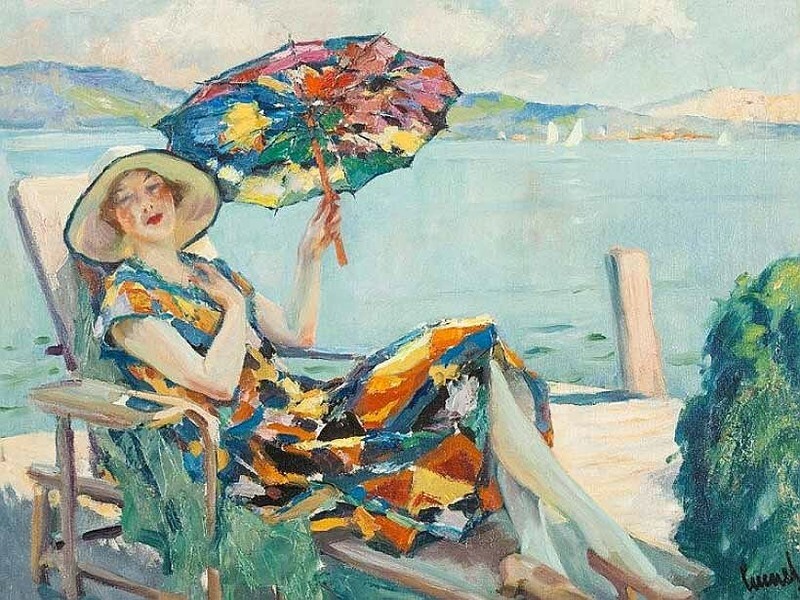 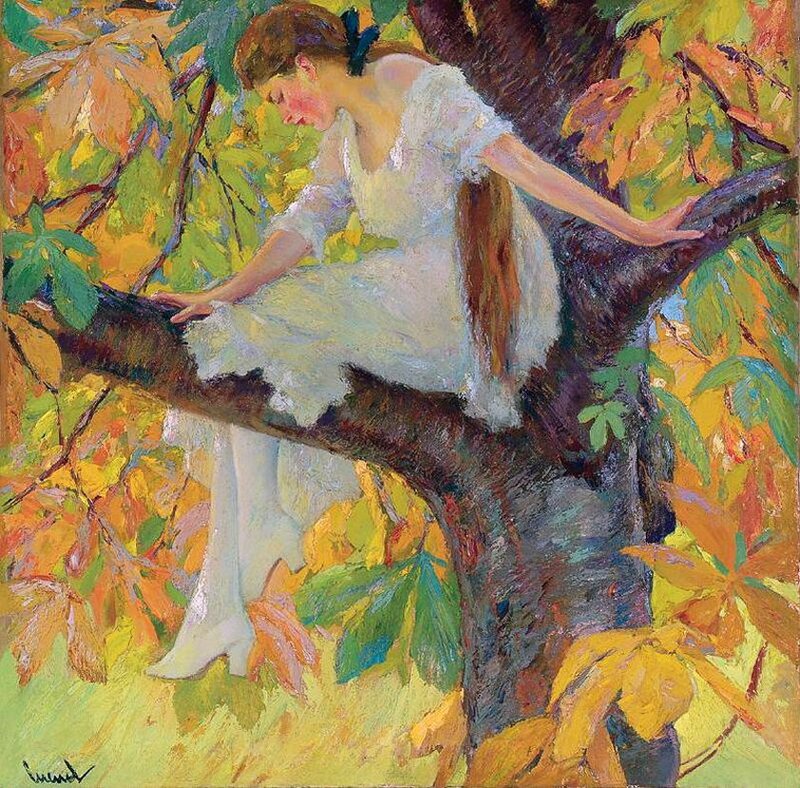 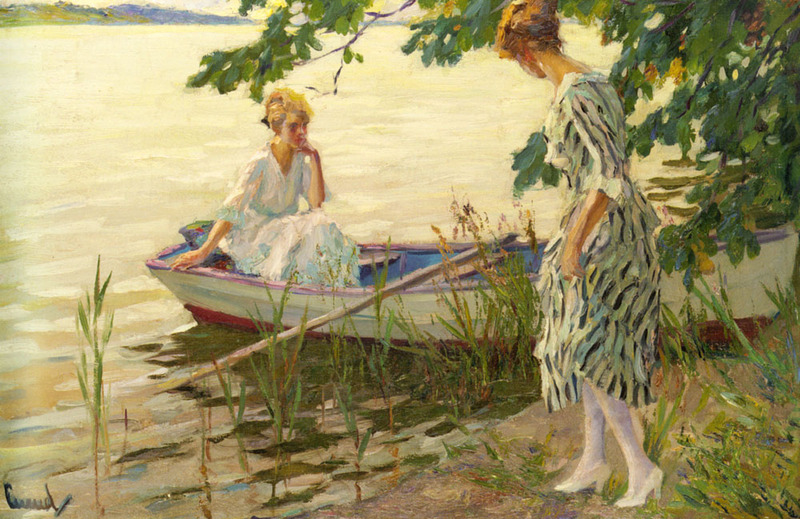 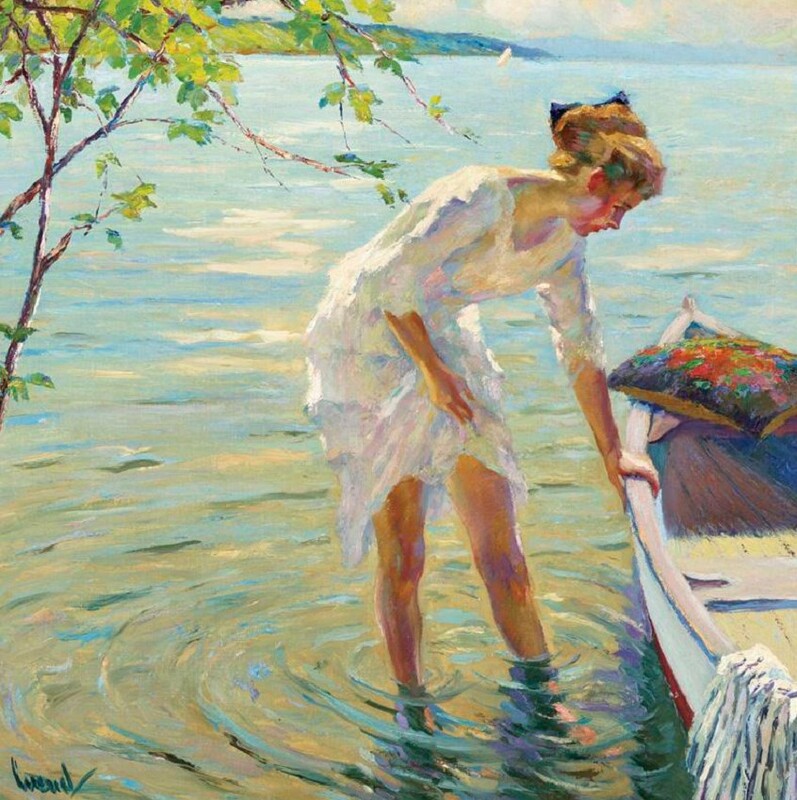 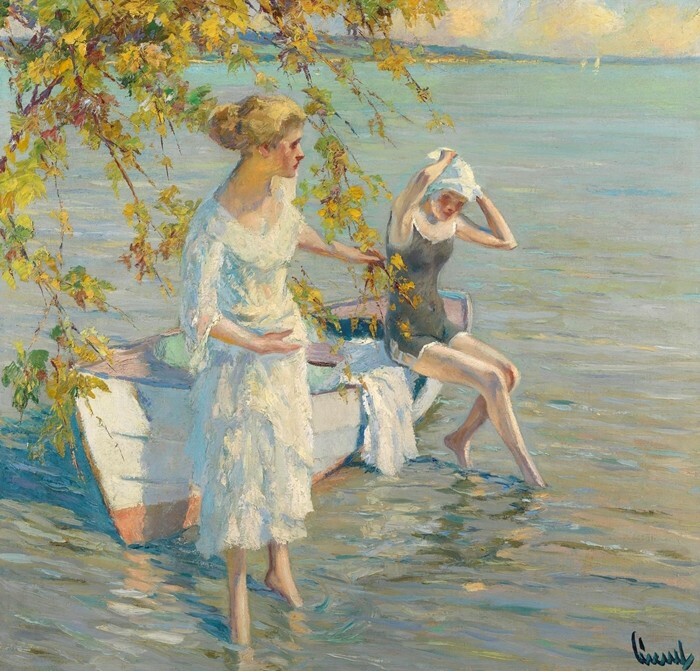 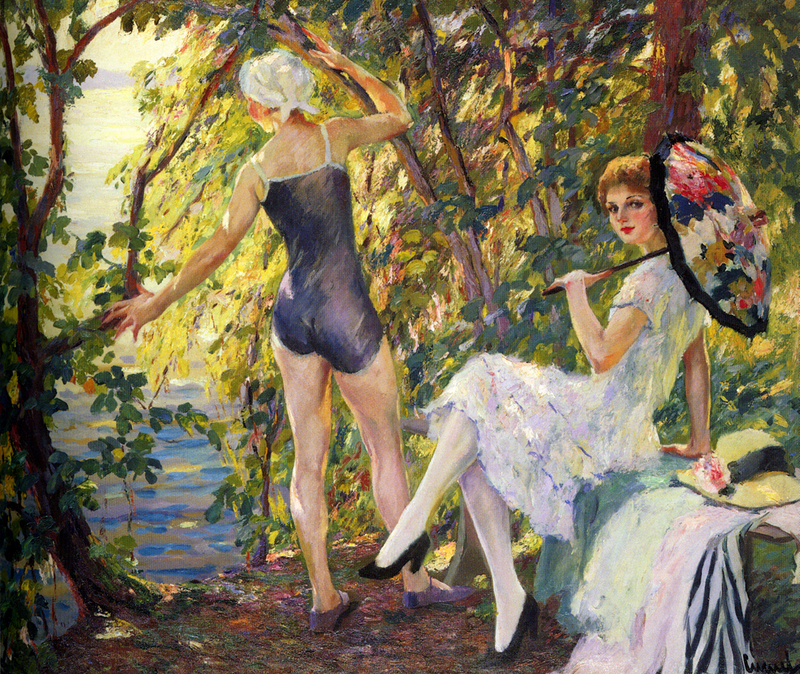 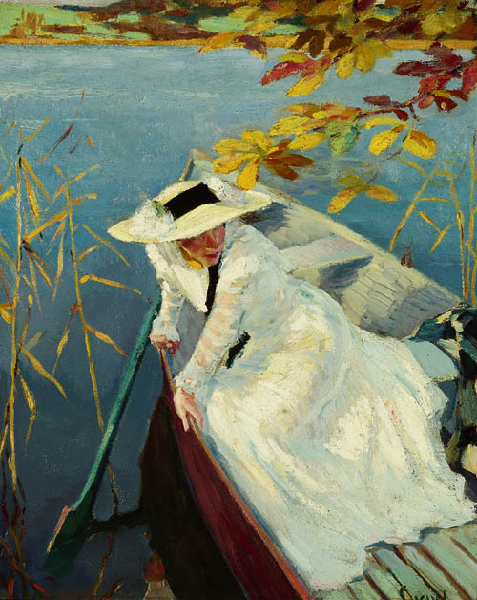 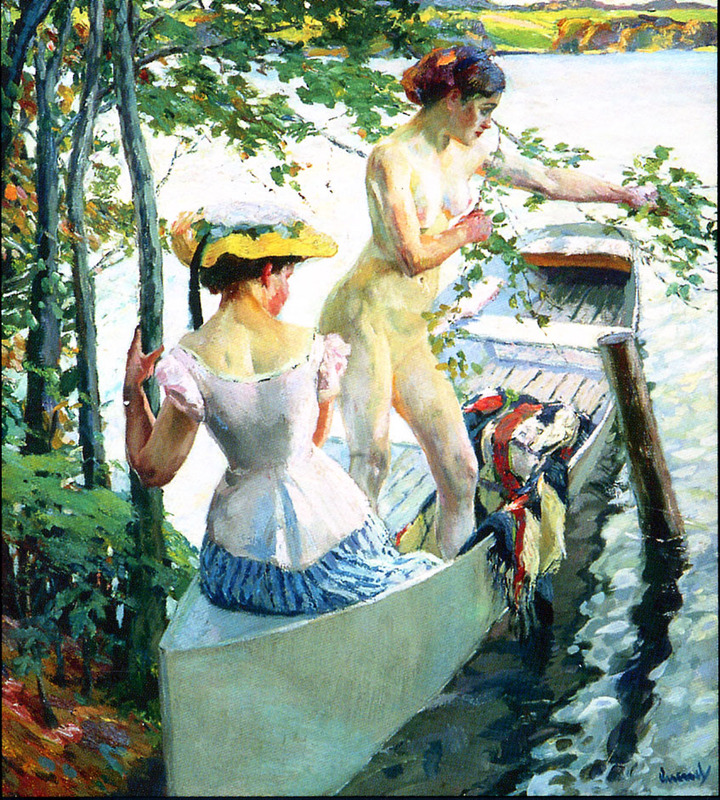 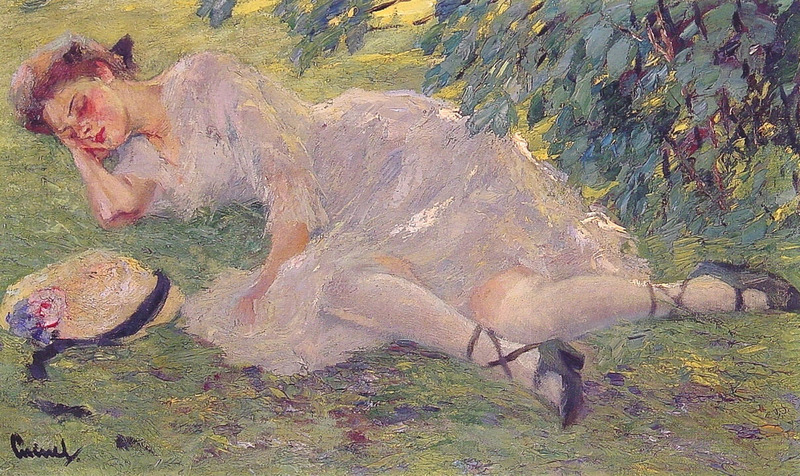 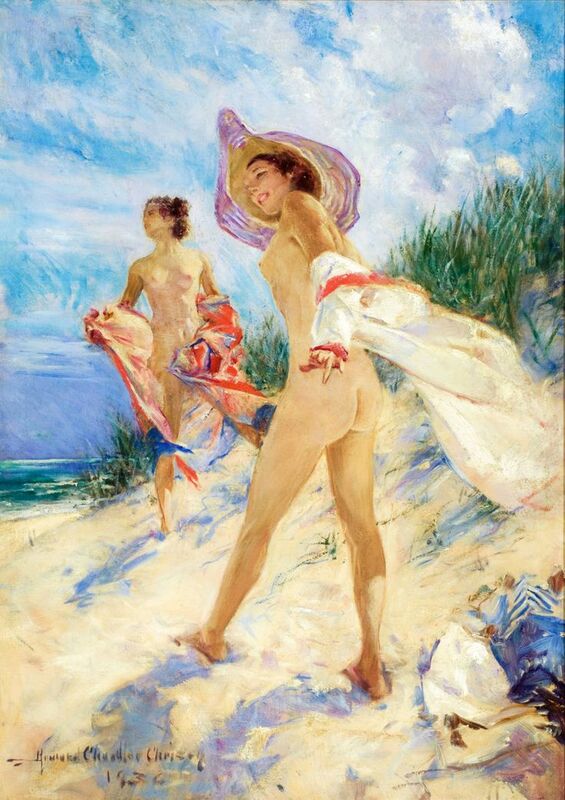 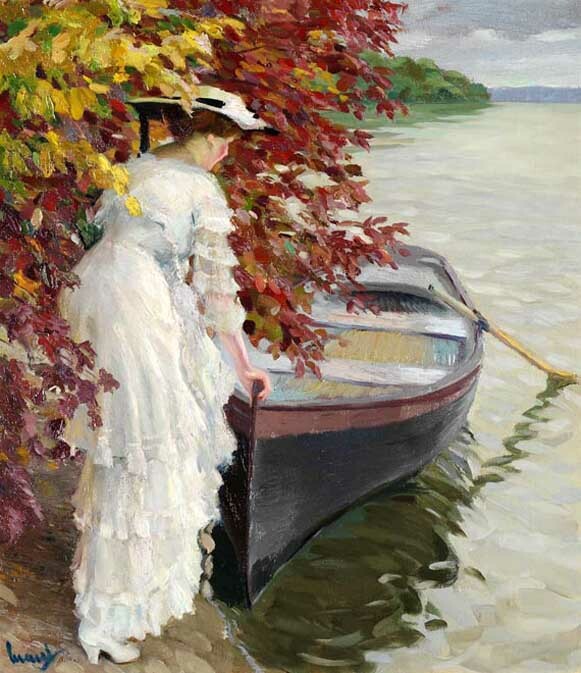 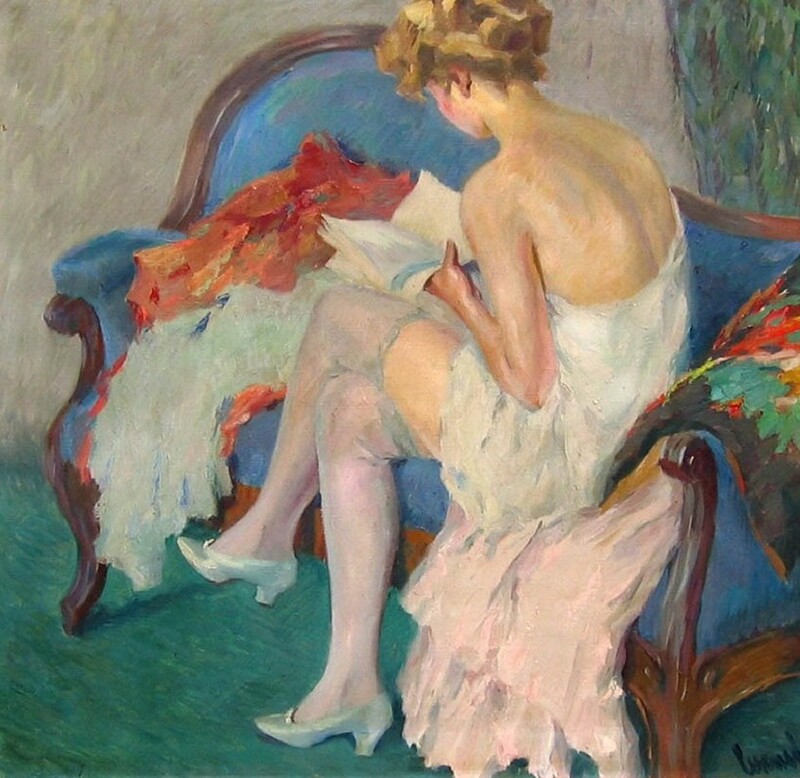 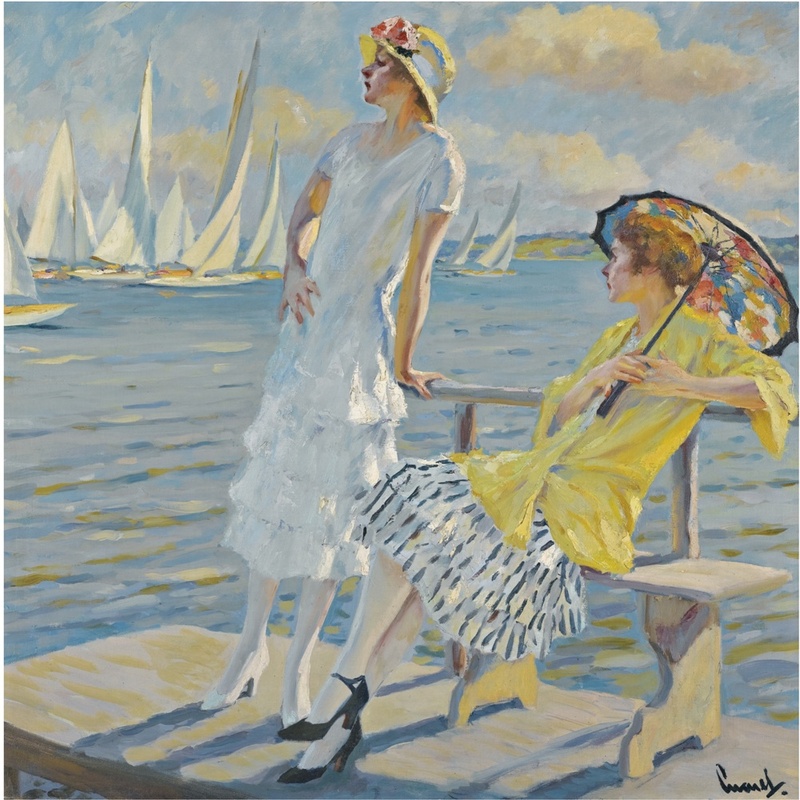 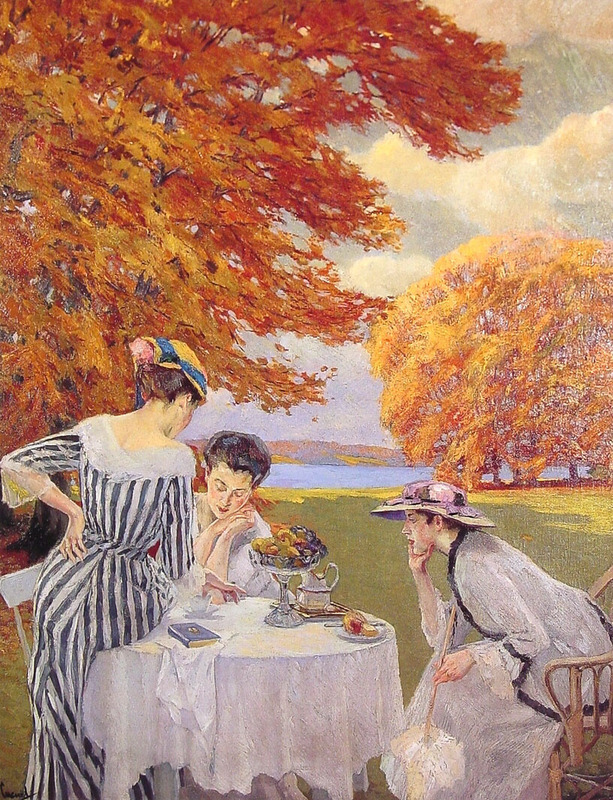 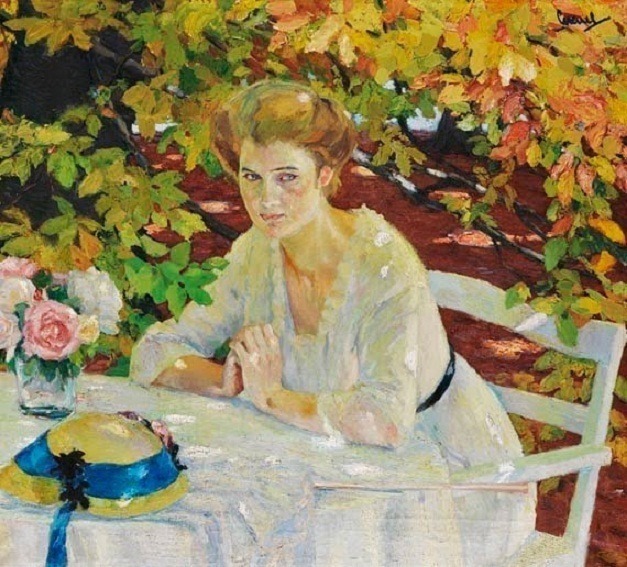 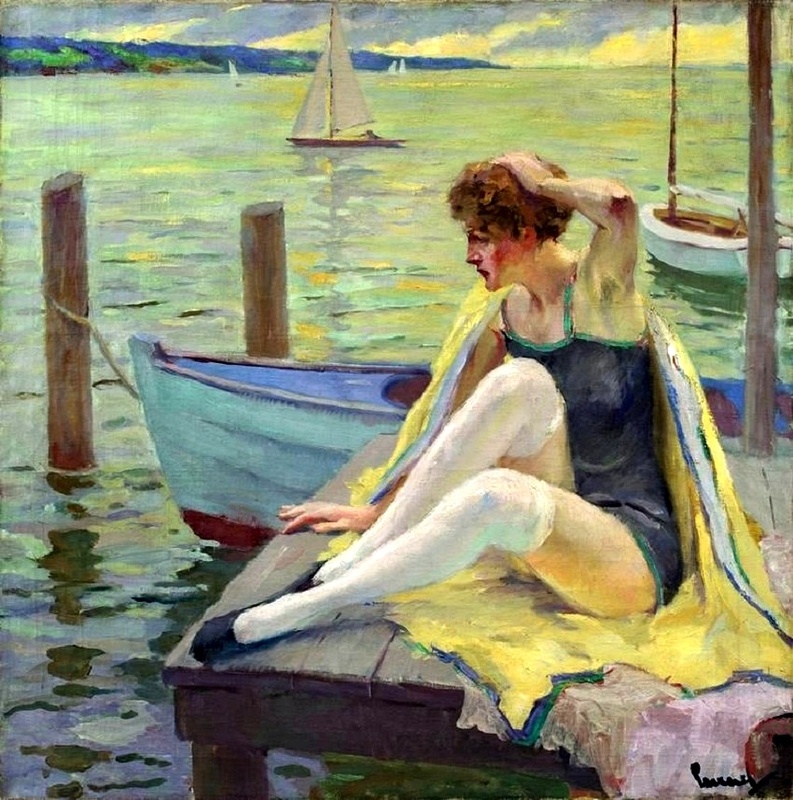 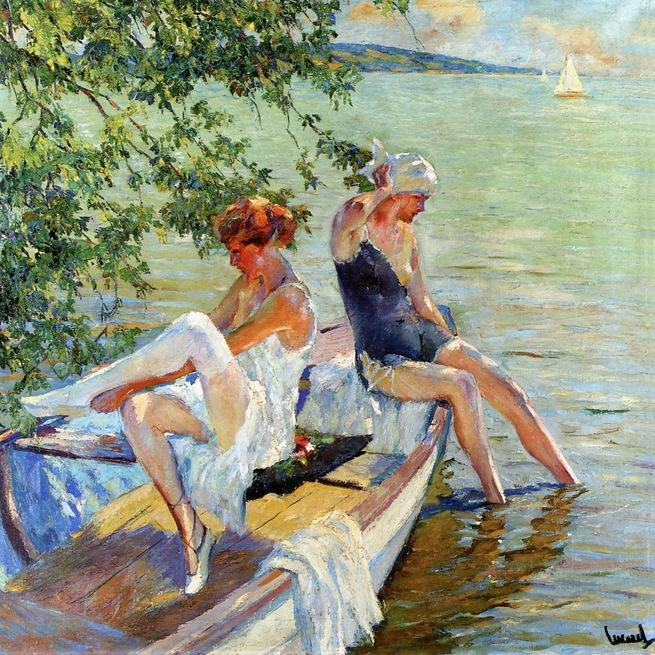 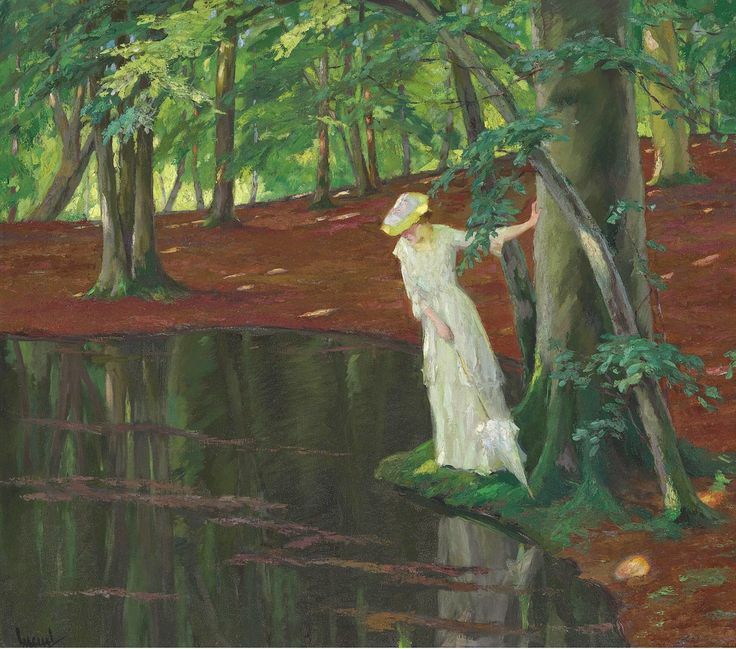 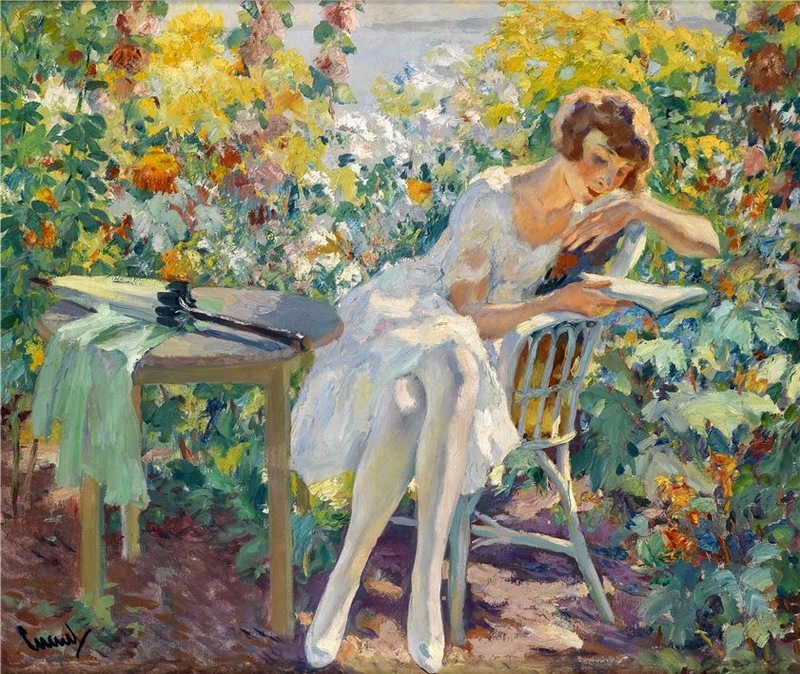 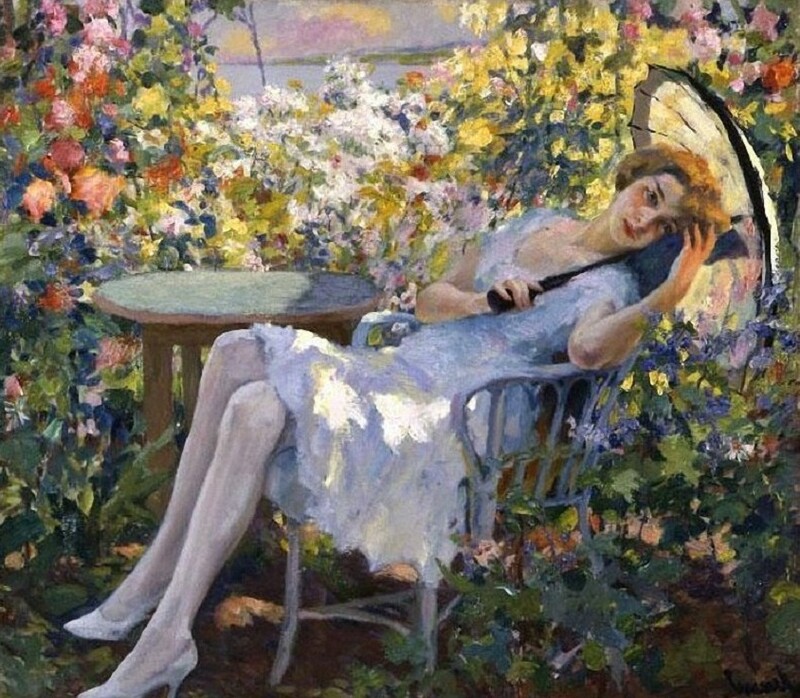 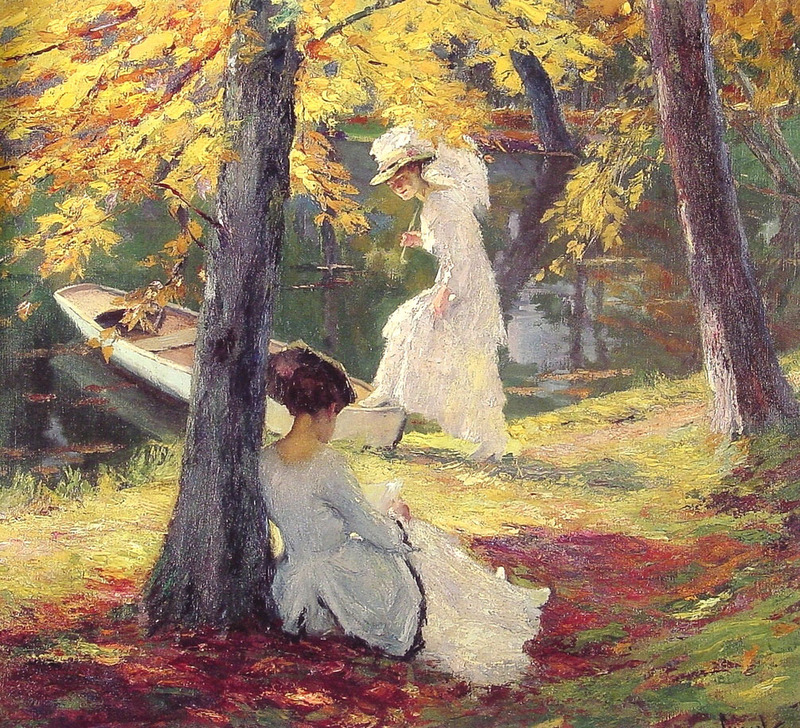 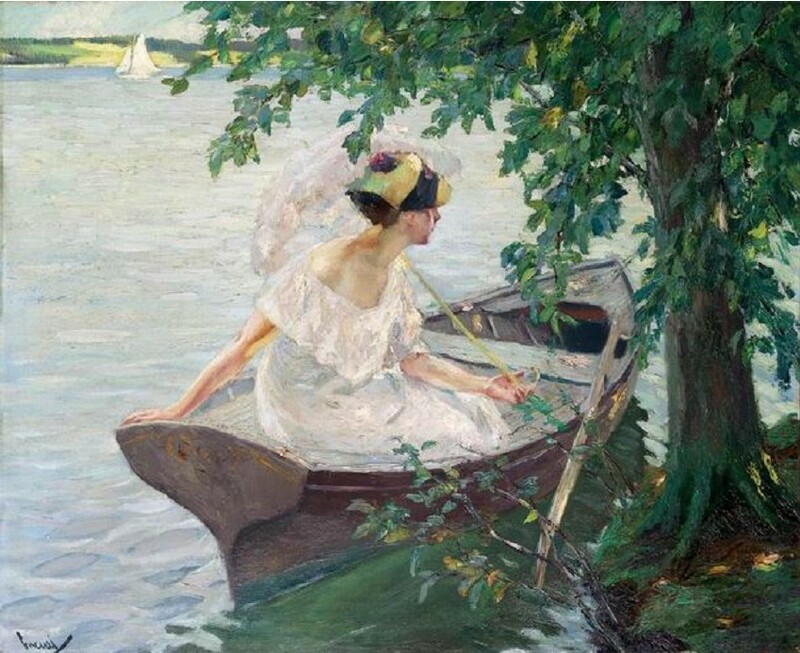 EDWARD ALFRED CUCUEL (1875-1954) born in San Francisco.He was an Impressionist painter of genre and figures in landscapes, often using his family members for models rather than professionals. 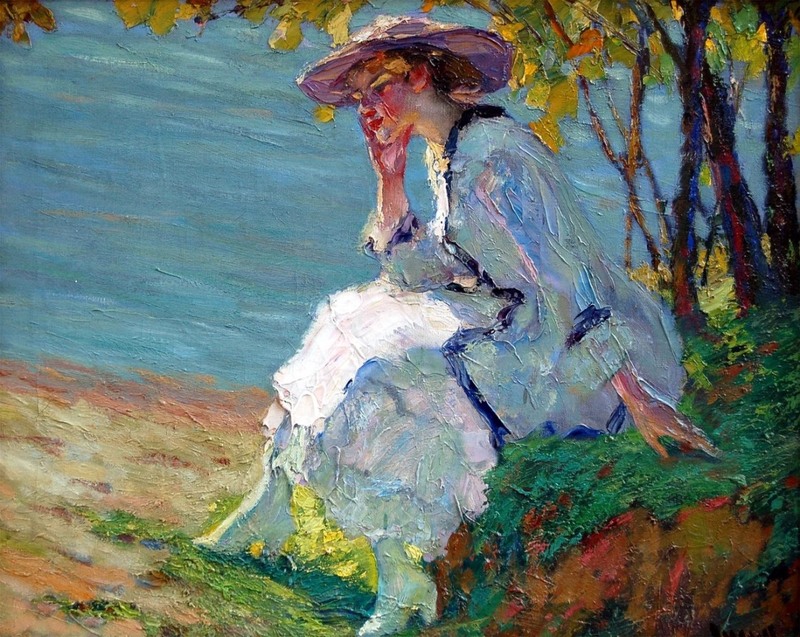 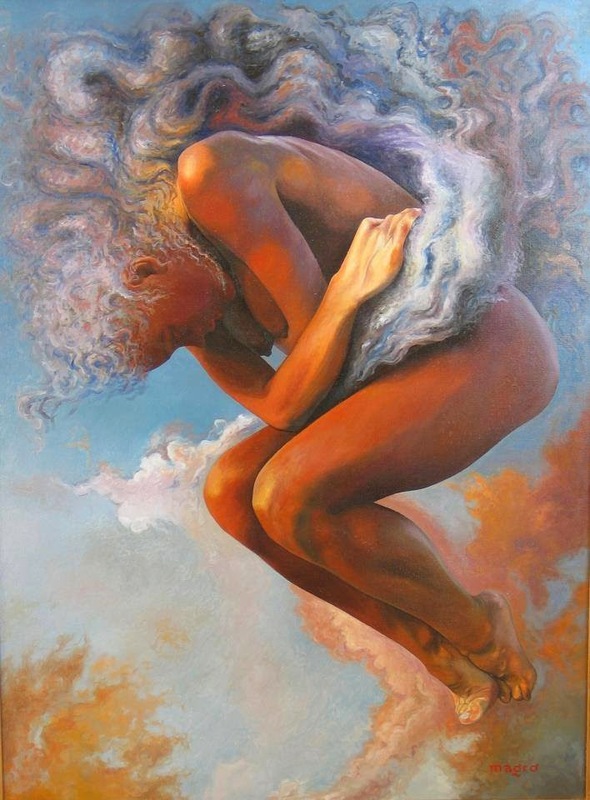 A specialty was using a vibrant palette and rich impasto to depict women in sun-dappled landscape settings. 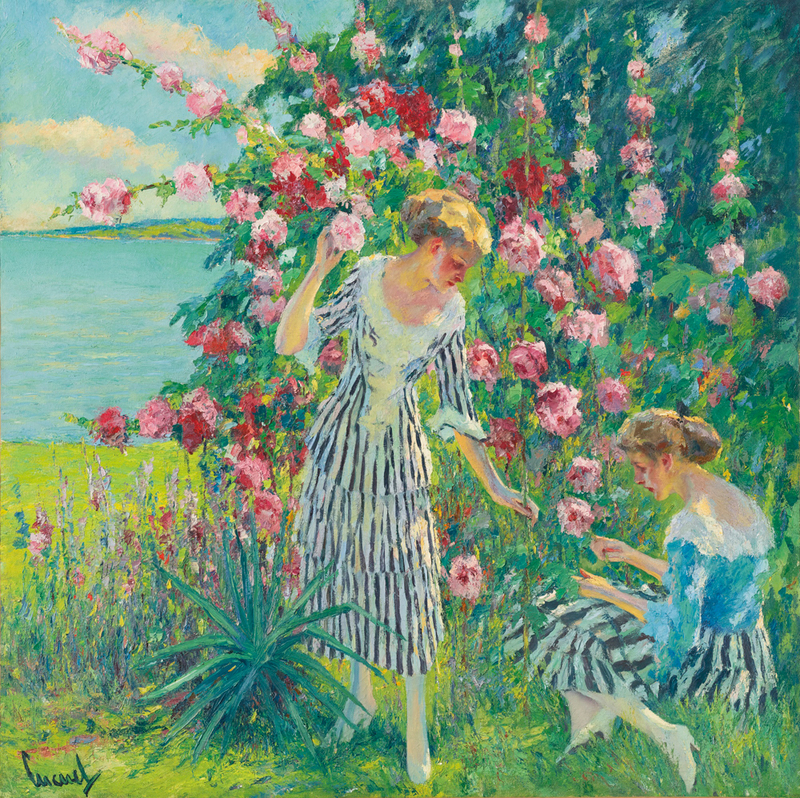 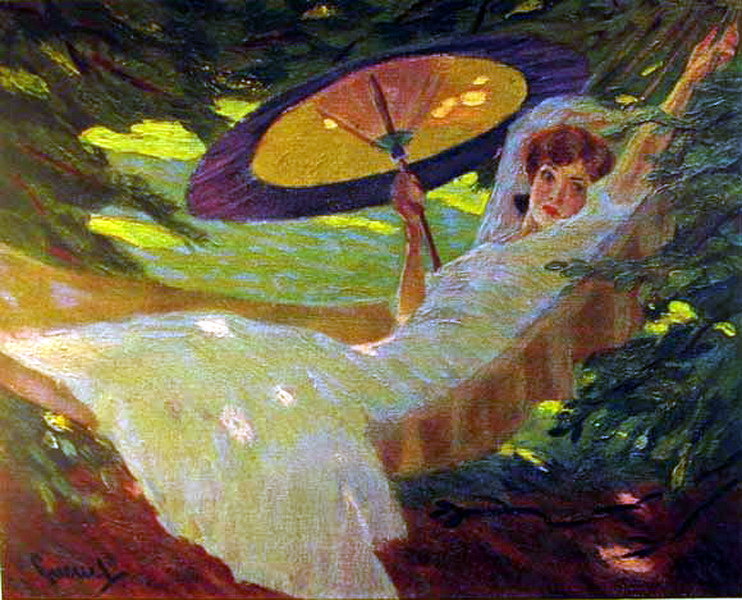 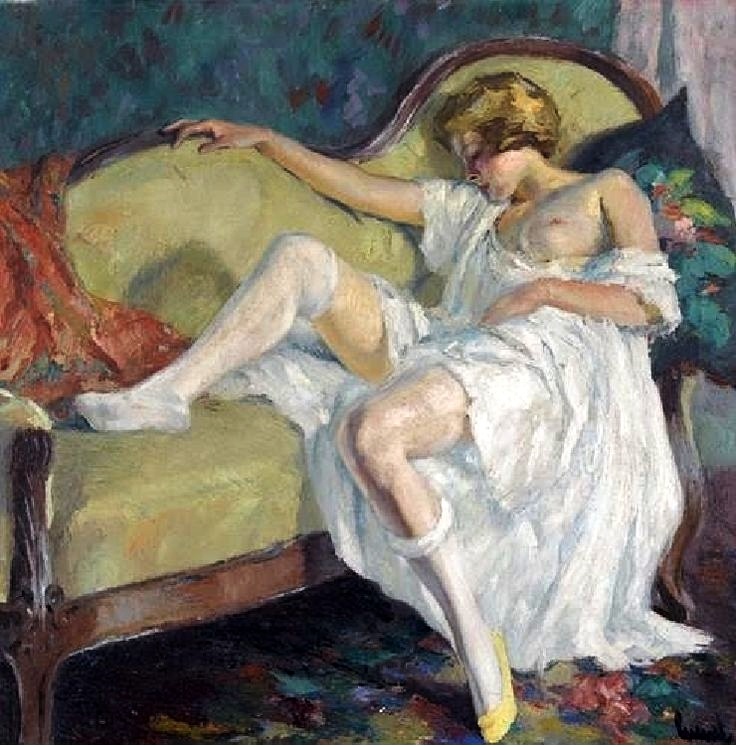 At the age of fourteen, he enrolled at the School of Design in San Francisco, and three years later, in 1892, he went to Paris and studied at the Academie Julian. 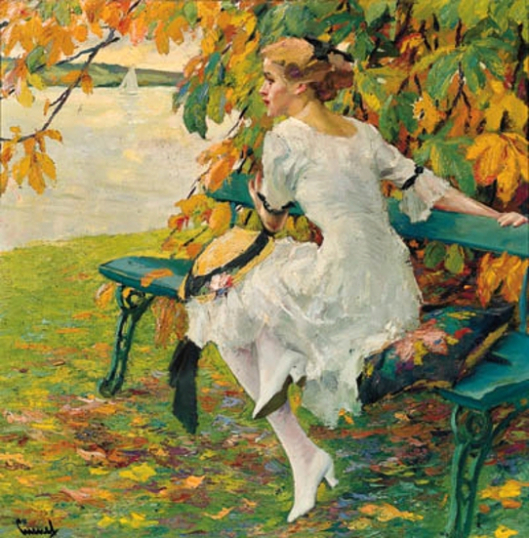 In 1893, he enrolled at the Ecole des Beaux-Arts as a student of Jean-Leon Gerome. 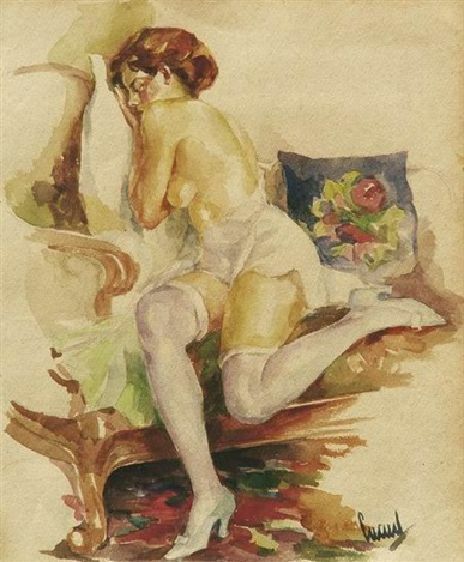 In 1896, he returned to the United States and worked as an illustrator on the San Francisco Call and Examiner newspapers and earned enough money to return to Germany and Paris, which he did over the next few years. 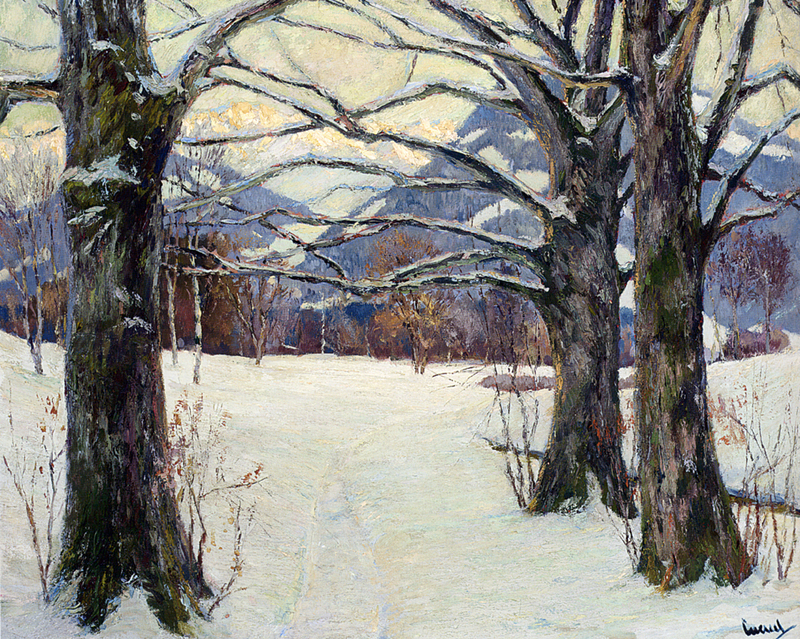 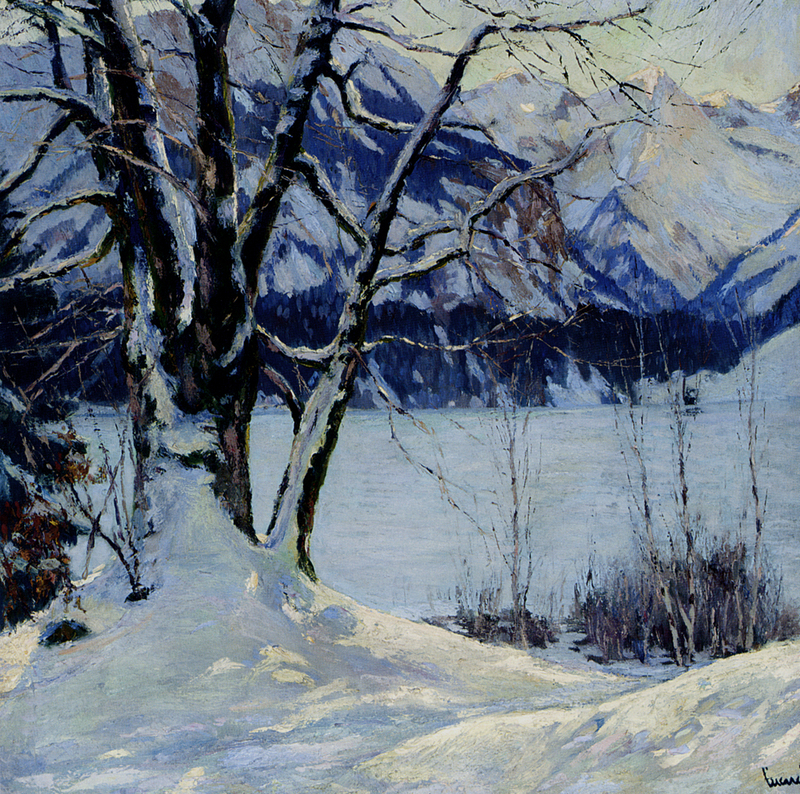 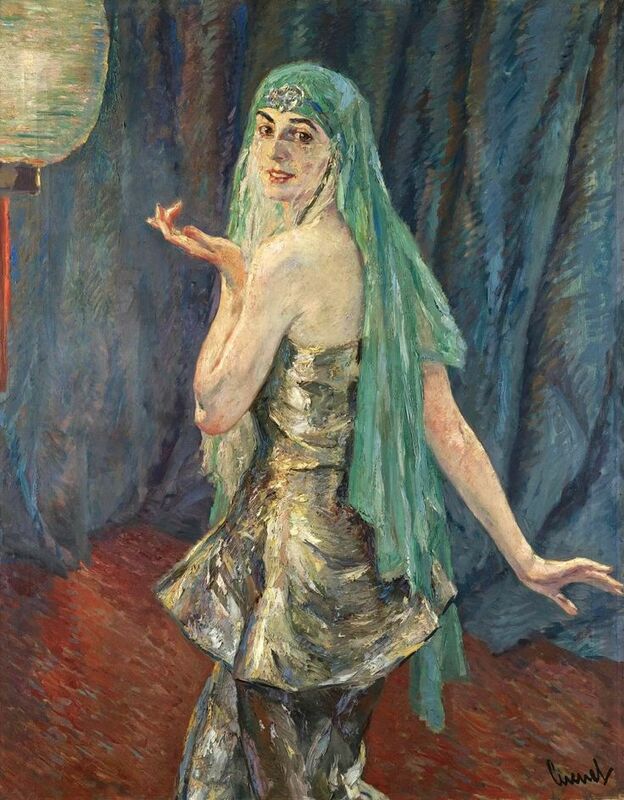 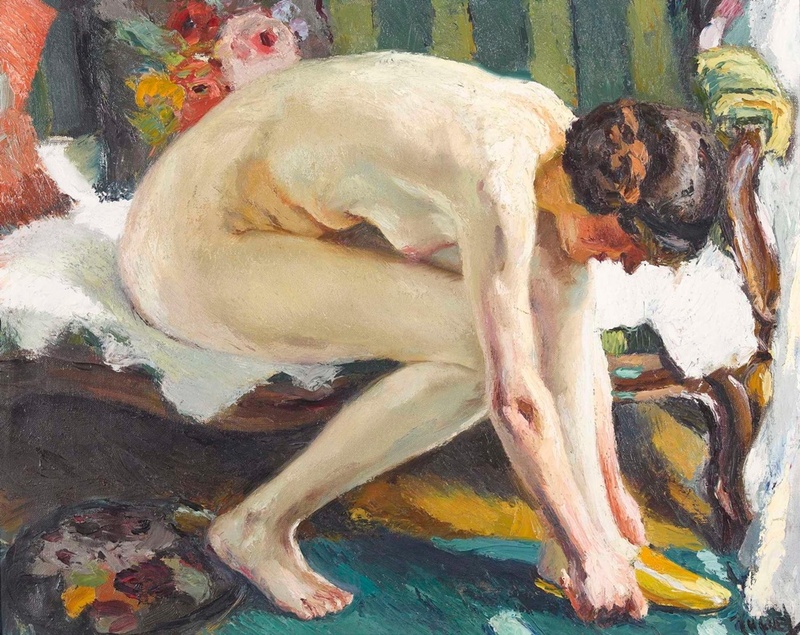 In 1907, having lived much time in Germany, he moved his studio from Berlin to Munich and was much influenced there by the German Expressionists. 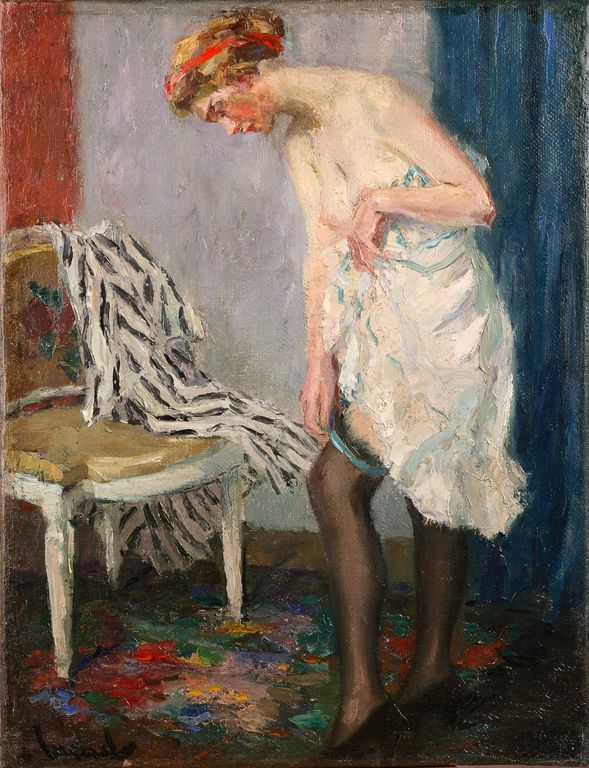 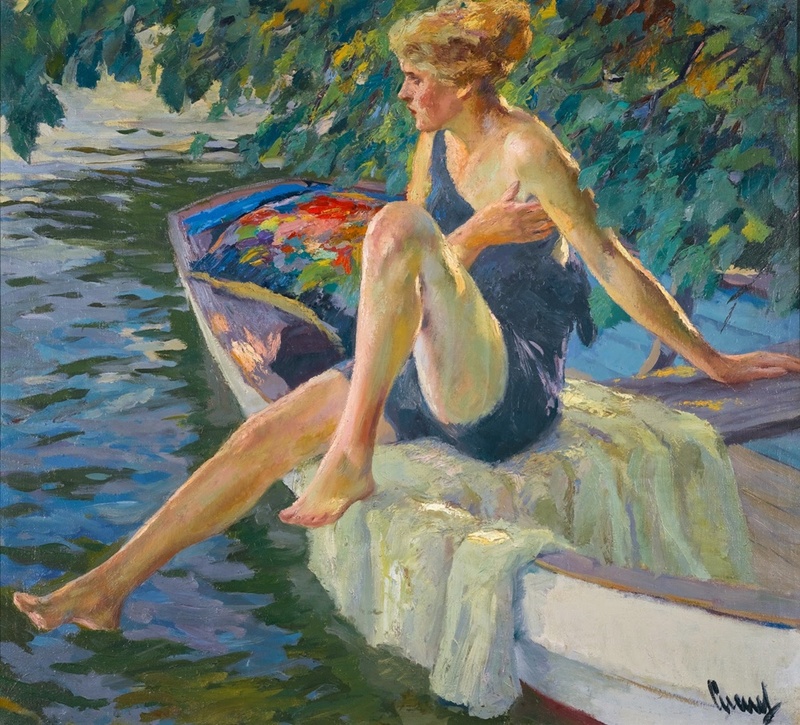 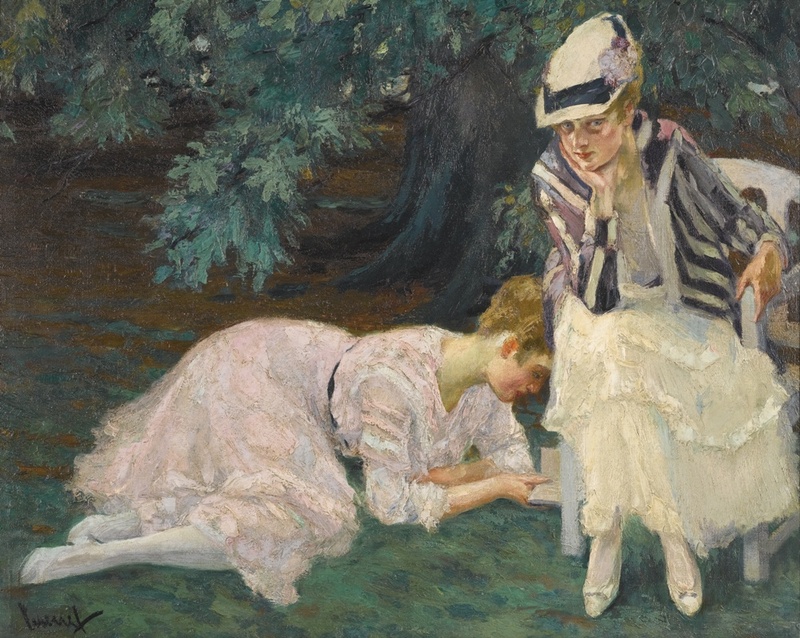 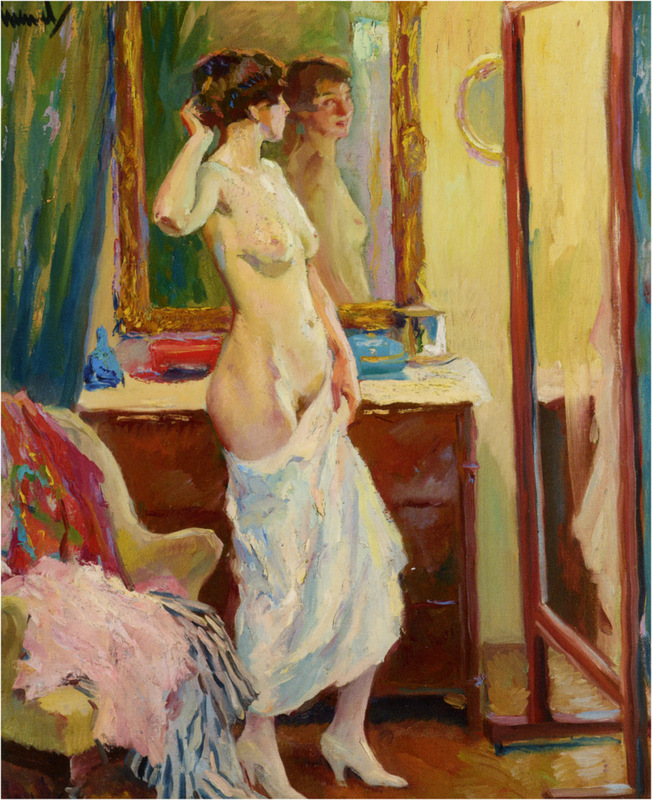 He began working with Leo Putz and developed his own Impressionist style. 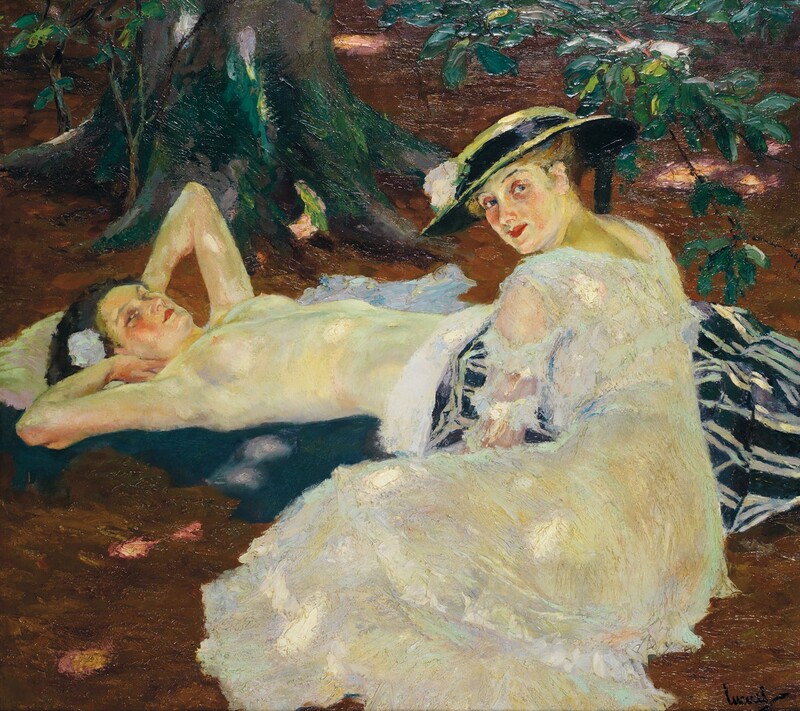 He married Clara Lotte von Marcard in 1913, and they spent their summers in a villa on Lake Ammersee in Holzhausen near Munich. 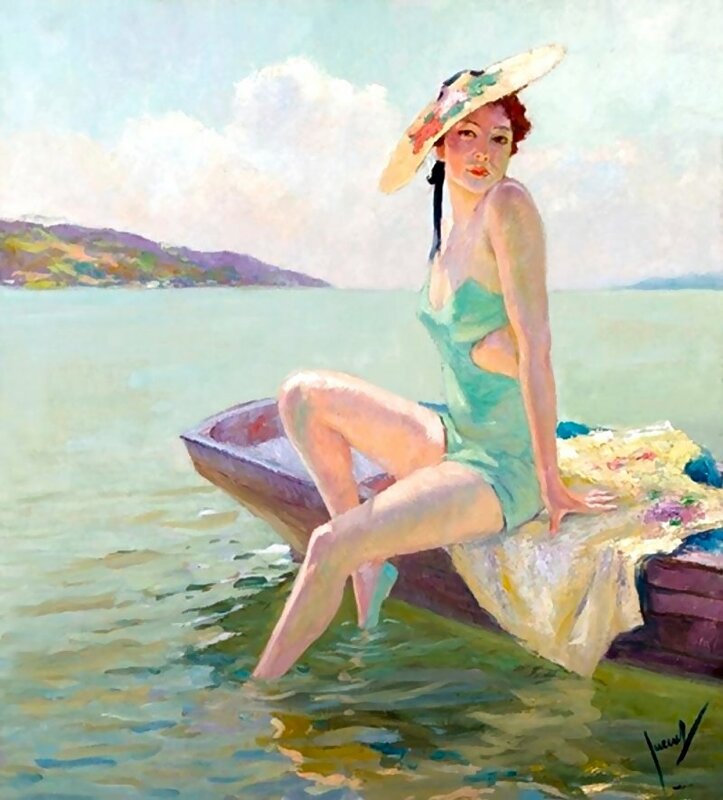 In 1928, he moved to New York, but traveled extensively, and in 1939, he settled permanently in California. 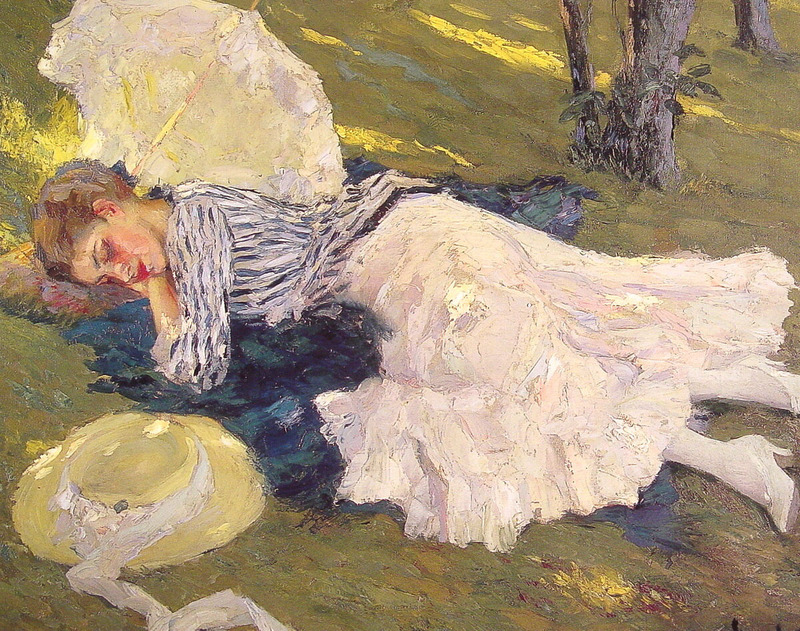 He died in Pasadena in 1954.